Presented by the National Arts Council, Utter is a special Singapore Writers Festival initiative which showcases the best of Singapore writing and celebrates its potential to be adapted into different media and across languages, giving audiences fresh perspectives and a deeper understanding of Singaporean authors. Utter is targeted at literary and film enthusiasts, but also hopes to reach out to the general audience to encourage greater appreciation for local literature. Utter 2013 and Utter 2014 features short films inspired by Singaporean literature. 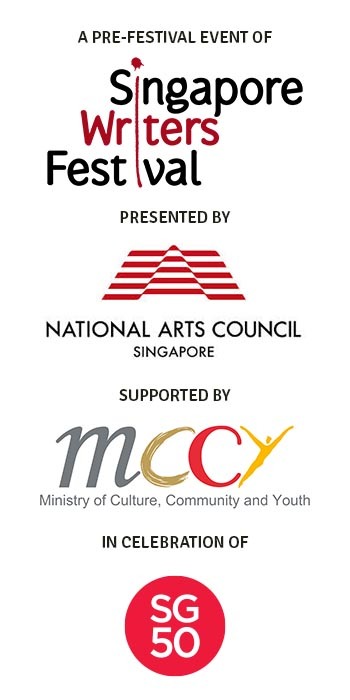 The Singapore Writers Festival, one of Asia’s premier literary events, started in 1986 as a biennial festival. Now held yearly, the festival is a much anticipated event on the cultural calendar, presenting the world’s major literary talents to Singaporeans while shining a spotlight on home grown creative talents. SWF has delighted book lovers by featuring Singapore writers Meira Chand, Alvin Pang, Suchen Christine Lim. Isa Kamari and You Jin, as well as international luminaries such as Steven Levitt, Michael Chabon, Neil Gaiman, Jimmy Liao, Carol Ann Duffy and Gao Xingjian. The SWF is one of the few multi-lingual literary festivals in the world, celebrating the written and spoken word in Singapore’s official languages – English, Malay, Chinese and Tamil.